Fraxel is a non-invasive laser therapy used for a variety of skin imperfections such as fine lines and wrinkles, surface scarring, pigmentation, sun damage and Actinic Keratosis (AK). 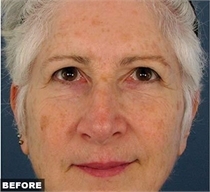 With Fraxel, you can slow down and even reverse signs of aging. 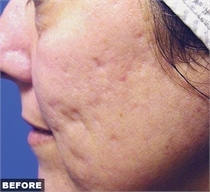 This revolutionary laser treatment will have your skin looking younger without a lengthy recovery. 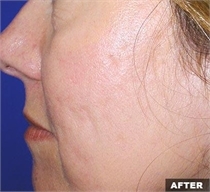 Fraxel uses fractional lasers and light energy to treat the top skin layers. Working with your body’s natural skin cells, Fraxel stimulates collagen and resurfaces the top skin layer resulting in smoother, radiant skin. The duration of each treatment session typically lasts between 15-45 minutes with most patients seeing the best results with 1-5 treatments. 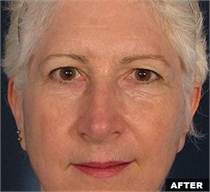 Patients have reported mild discomfort during the procedure with very minimal recovery time. *Photos courtesy of Fraxel. Results may vary for each patient. To learn more about the Fraxel laser treatments and if it is the solution for your skin imperfections, get in touch with our office. We welcome the chance to talk to you about options in a private consultation. Call us at (212) 288-9910 in Manhattan or (914) 684-1000 in Westchester for more information.